Dr. Lucio Barile graduated at University of Rome “La Sapienza” (PharmD) in 2003. He hold a PhD in “Experimental Medicine”. He has been a visiting research fellow in the laboratory of prof.. Eduardo Marbàn. While working in Marbàn’s lab at Johns Hopkins University, Baltimore, Lucio Barile, made a significant contribution to the first characterization and the preclinical testing of human adult cardiac progenitor cells [Circulation. 2007 Feb 20;115(7):896-908]. The preclinical study carried out by him has laid the foundations for a GMP-grade cellular product, which is currently tested in Phase-I and Phase-II clinical trials. During this period he was awarded of America Heart Association of “Young Investigator Award 2005”. In this context he was invited to publish as peer expert, a review article on the prestigious journal of “Nature” group [Nat Clin Pract Cardiovasc Med. 2007 Feb;4 Suppl 1(S1):S9-S14]. 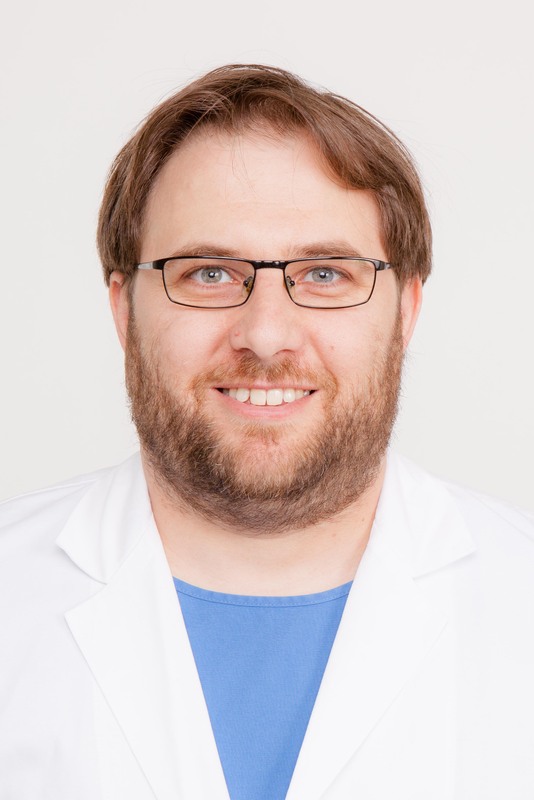 After coming back to Italy he worked as postdoc in the department of Molecular Medicine at ICGEB Trieste Component, under the supervision of an internationally recognized scientists in the field of gene therapy, prof. Mauro Giacca, studying the homologous recombination in cardiac progenitor cells by AAV-mediated gene targeting. From 2009 to 2011 he dedicated his research activity to the cardiac electrophysiology at the department of Biotechnology and Biosciences, University of Milano, Bicocca, under the supervision of prof. Antonio Zaza, providing first novel insights into electrophysiology properties of differentiated cardiac progenitor cells [Basic Res Cardiol. 2010 Nov;105(6):737-49]. In 2011 he moved to Cardiocentro Ticino Foundation (FCCT) as senior scientist and lab coordinator of Cellular and Molecular Cardiology Laboratory headed by prof. Vassalli where he established a research topic of secreted extracellular vesicles derived from CPC resulting in a publications among the very first reports on such topic which reached 126 citations in 3 years [Cardiovasc Res. 2014 Jul 11. pii: cvu167]. Exosomes secreted by CPC have been shown to decrease scar and improve function in small animal models. CPC-secreted exosomes are a promising cell-free therapy for MI. Research on exosomes has had in the recent years a wide international resonance in fact in November 2016 Lucio Barile has been invited as speaker for the America Heart Association Meeting (NewOrleans, LA) in a scientific session entitled “Frontiers in Science Paracrine Mediators of Stem Cell Bioactivity”. In this context of increasing visibility, the choice of the European Heart Journal (first European journal of cardiology and cardiovascular medicine) to entrust a critical review to Dr. Barile [Eur Heart J. 2017 May 7;38(18):1372-1379] . He is currently member of editorial board of several international peer review journals: Journal of Cellular and Molecular Medicine, Cardiovascular Regenerative Medicine, Frontiers in Cardiovascular Medicine. He is currently supervising 3 senior scientist, 2 PhD student and 2 Master thesis Students.